The past times of the Otava river basin are closely connected with the time-honoured hill Prácheň, which influenced our history. 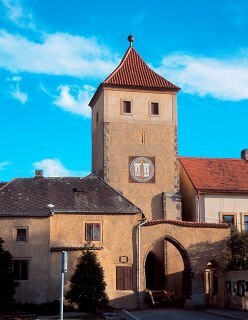 A fortified settlement was established here in the 10th century and two centuries later the stone castle became an administrative centre of the Prácheň region (embracing today’s region of Horažďovice, Sušice, Kašperské Hory, Strakonice and Vimperk). At the time when the stronghold lost its signification, the centre was moved to a settlement on the river Otava. A privileged position by the Prague to Bavaria Trade route predetermined promising future for Horažďovice. 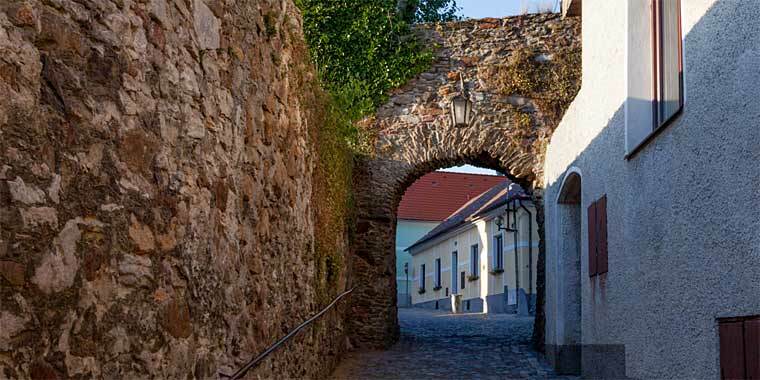 One of the most significant families with a large impact on the history of the settlement was the Bavor house of Strakonice, who built a Gothic fortress here in the 13th century. The king Václav II. gave the settlement status and rights of town in the year 1292. The town enjoyed great prosperity in the second half of the 15th century, when the ownership was taken over by Půta Švihovský from Rýzmberk. He iniciated development of administrative centres in the town vicinity such as the castles Rabí, Švihov and Velhartice. The greatest disaster for Horažďovice was the Thirty Years War, when there were damages by two big fires and the town was twice plundered by Swedish troops. 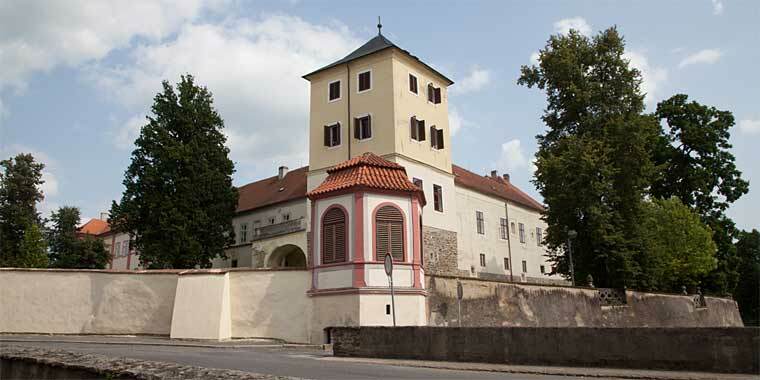 The badly damaged castle was rebuilt, the monastery was enlarged and a chapel by Loreta was built during the Šternberks reign in the 17th century. Other significant impact on the town had the Rummerskirchs. They introduced pearl oysters farming in the 19th century. Collecting of pearls was organised by the gentry and was even attended by the Emperor František I. in the years 1809 and 1818. In the last pearl oyster harvest in 1944 there were opened 20 thousand oysters and several tens of pearls were collected. After the Second World War the farming of pearl oysters declined. The last owners of the township were the Kinskys of Vchynice and Tetov. They laid out a garden in the style of English park with many rare specimens of trees and plants. The English park is called Ostrov today. The Kinskys owned the town till 1945. On the place of the fortification from 13th century is a Baroque castle. From the original fortress, which was during the Švihovský reign rebuilt to Renaissance castle, remain only cellars carved in the rock and the remains of rotund tower. 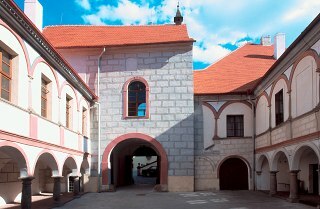 Since 1920 the castle houses a town museum. The present exhibition describes the history of the town since primeval times to present. Parts of the exhibition are minerals from the environs. Various exhibitions are held in the tower space from time to time. An important monument is the Convent church of the Virgin Mary standing on the site of the former chapel of St. Michael from 13th century. For almost 100 years it was the seat of The Order of sisters of Notre Dame for the whole country. After the year 1989 The Order returned back. Near the town, on the hill Prácheň, is a church of St. Kliment - the ninth Christian church in Bohemia, probably consecrated by Metoděj. A significant feature of Horažďovice in the leisure time field is the extensive complex of indoor swimming pool with its 62 metres long toboggan, four swimming lanes and many more attractions. You can find rehabilitation facilities here, sauna, fitcentrum and unique climbing wall. With its various facilities it attracts visitors from wide area the whole year round. In the vicinity of the swimming pool is a sports area Na Lipkách, which includes football field, multipurpose field, skatepark and tennis courts. Further on nature alone provides the leisure time. The river Otava, the coldest river in Czech republic, originates from the confluence of rivers Vydra and Křemelná by the Čeňkova Pila in the Šumava Mountains. It is popular with people who like to ride white water rapids. For the horse lovers there are the nearby Soběšice and Volenice. The varied countryside around Horažďovice offers many opportunities for other activities. 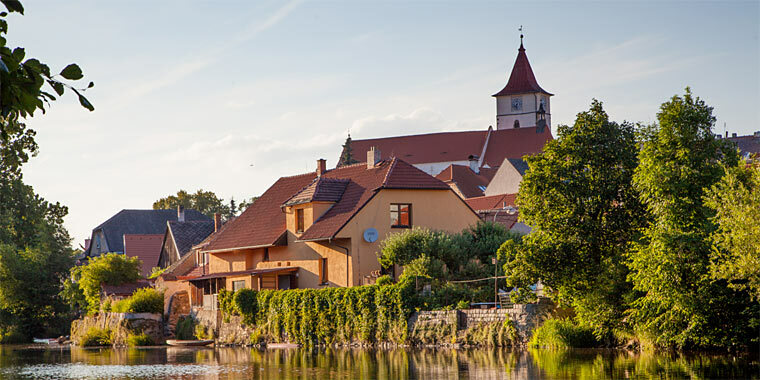 You could go for a walk in the nearby woods, hike the tourist paths by the river with its many fishermen or go for a cycle ride on many marked cycling routes to Sušice and Strakonice. Every year there is an international championship in motor cross, cycling competition The Horažďovice triangle and the second oldest march in the Republic – The Horažďovice fifty kilometres march. The town has population of almost 6 000 people today. Since 2003 the town office is an administrative centre for 20 villages – 12,5 thousand of people. 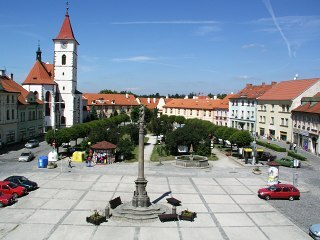 The centre of the town is an historical heritage zone. The town supports historical as well as modern architecture. A community care house was built in 2003 and it received a Grand Prix in the “New Home” competition. A multipurpose house on the Husovo Square received other price for building in the historical environment. There is a very varied cultural life in Horažďovice. 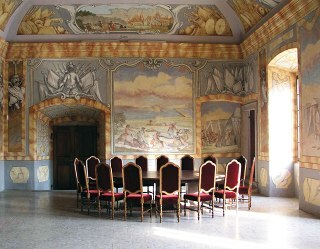 Several concerts and seminars are organised in the castle complex. Renowned cultural occasions are the annually held Music summer in the castle, West Bohemian amateur theatre festival, Shrovetide carnival procession and The Celebration of the town name day was also renewed. 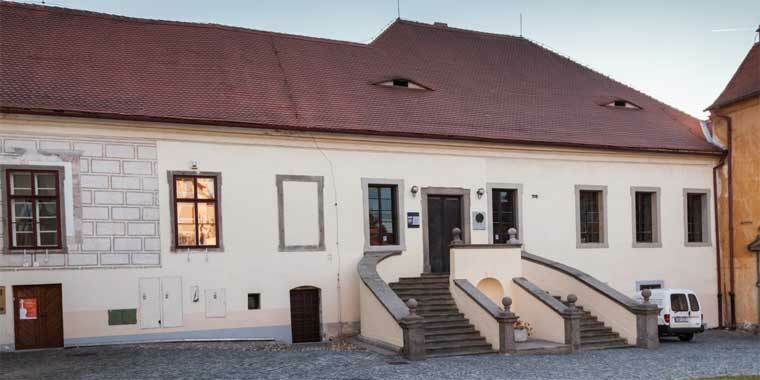 The amateur theatre group, the puppet theatre Tyjátr and the Group of friends of Horažďovice enjoy long tradition. 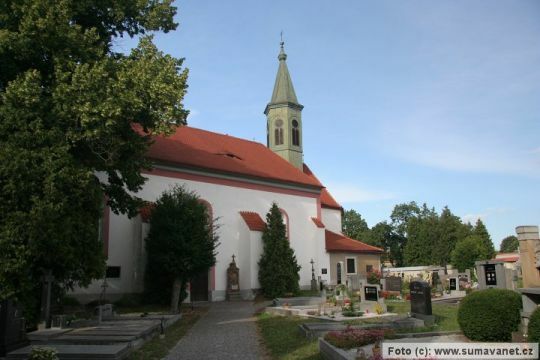 The choir Prácheň was revived and The Free association of singers and musicians of Horažďovice was revived. The Red Gate Tower from the 13th century is one of the oldest gate towers in the country. The Dean’s church of St Petr and Pavel in the town square is from the 13th century. The wayside chapel of St. Vojtěch was consecrated in 1738. On one side is a painting of St. Vojtěch, on the other is Pieta.